Thanksgiving is officially my favorite holiday. I spend months staring at recipes online to get inspired for the big day. 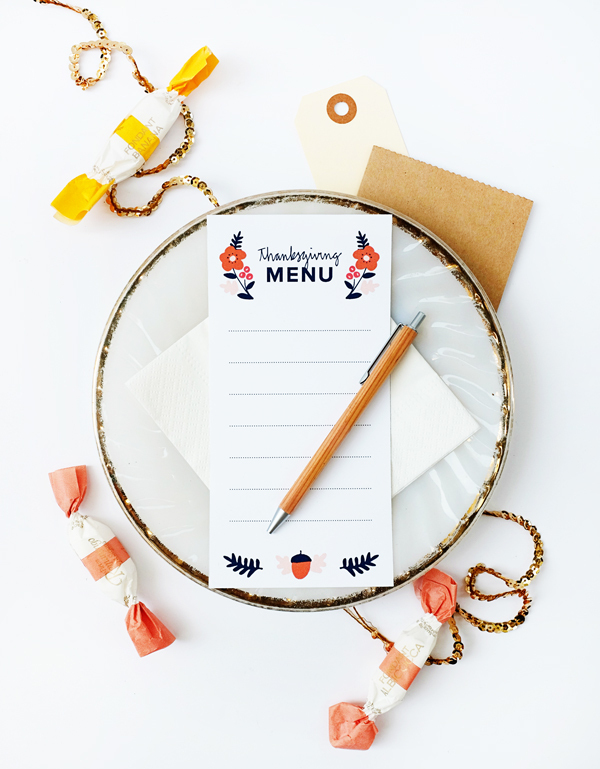 This Thanksgiving, why not make a keepsake menu for all of your guests? 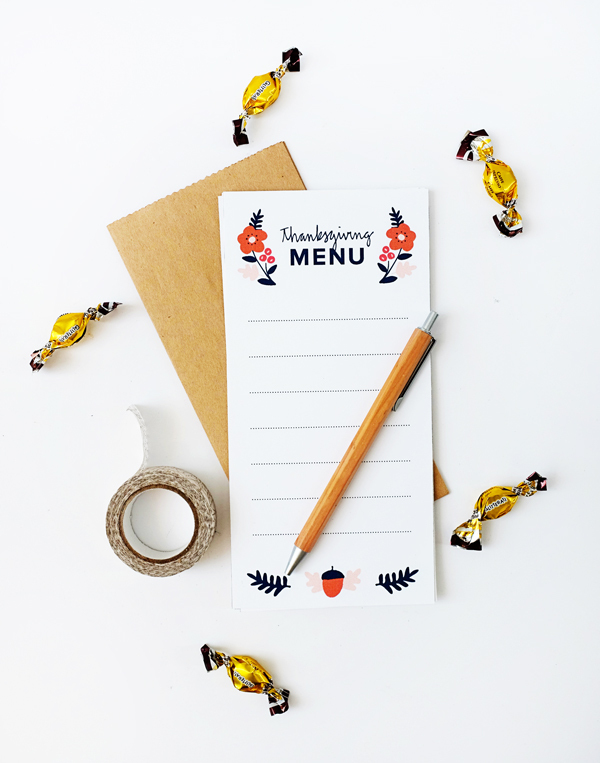 If your family is like mine, we like to change up the menu just a little bit every year, so it’s great to have something to look back on. 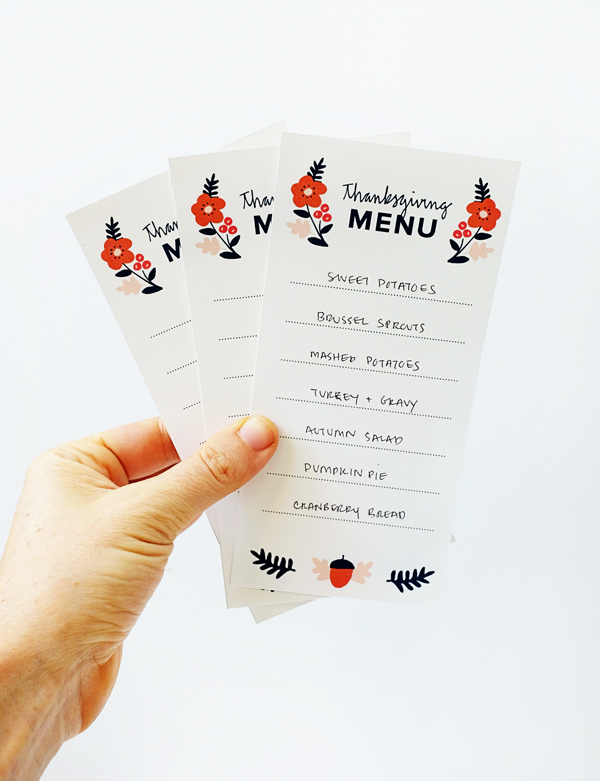 Simply print out these festive Printable Thanksgiving Menus and cut out with scissors. 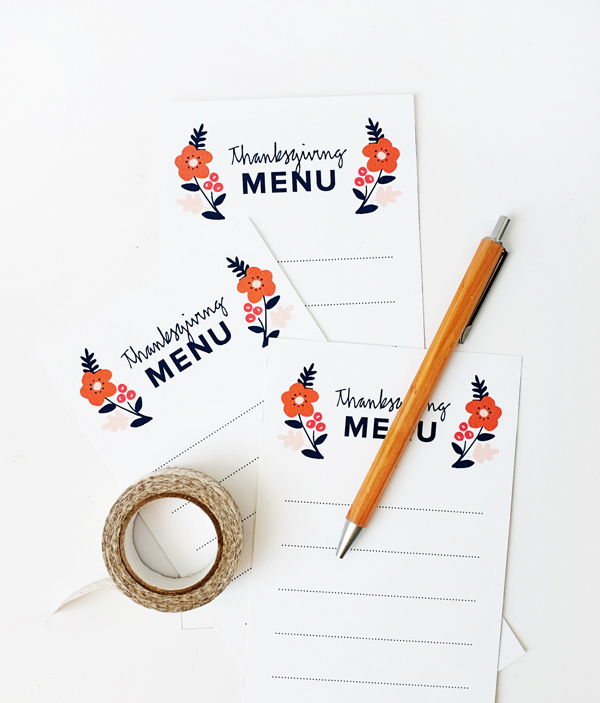 They are a great way to decorate a table setting and your guests will be so happy to have a little way to remember why Thanksgiving is so special! They’re so cute, especially with that tiny acorn! Thank you, this is so cute. 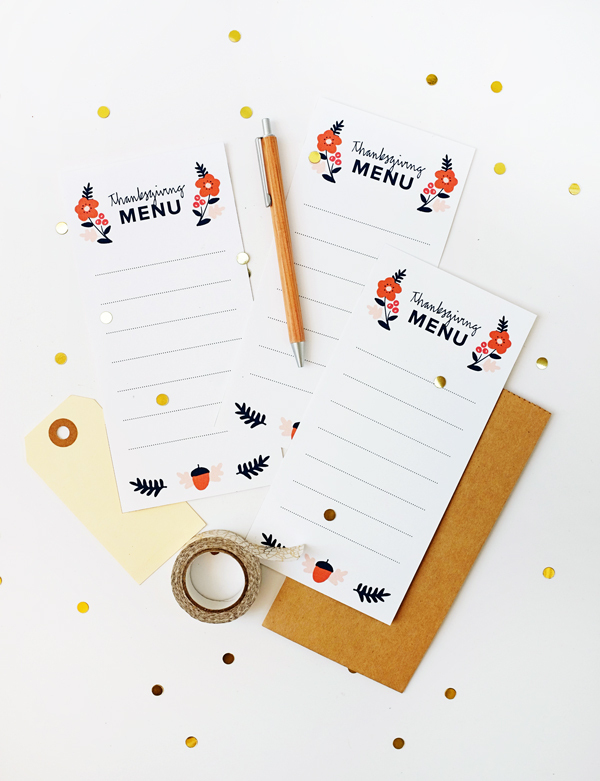 I am having a card workshop next week and I have been trying to come up with some table favors with a Thanksgiving theme. This will get me started. They looked classic and nice, love the designs!